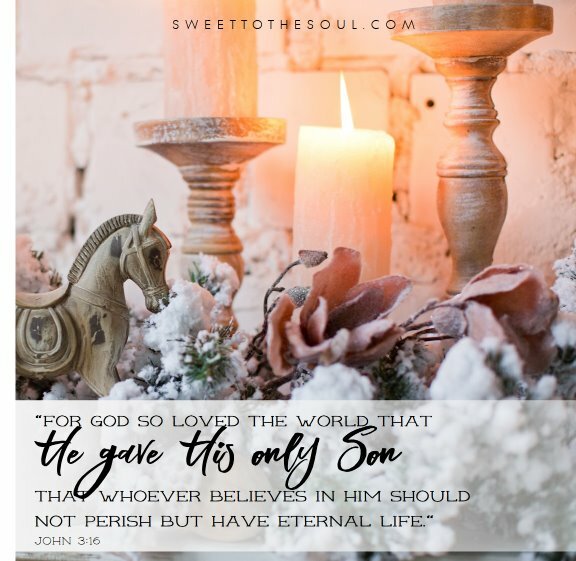 ​“For God so loved the world that he gave his only son, that whoever believes in him should not perish but have eternal life." ​There are two important components to gift giving. And no, it’s not shopping and wrapping. ha! The two important components to gift giving are giving and receiving. In fact, the receiving might just be the most important part. Because what is a gift, if only given and not received? John is telling us today about how much God loves us - ALL of us. God loves us so much that He has the most wonderful gift for us - for ALL of us. The gift is eternal life with Him in Heaven. We are also taught by God's word that we all have sinned and this sin has separated us from God. But God loves us so much, that He is giving us the gift of restoring this relationship. The gift has been given, it's right there for each one of us. But to actually have it, we have to receive it. And as John explains, in the case of this gift, receiving is believing! Have you received this beautiful gift from God? 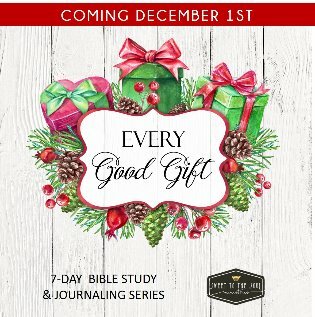 If not yet, and would like to read further in God's Word, here are some scriptures in the book of Roman which tells more about God's wonderful gift and why each one of us are in need. ​For the wages of sin is death, but the free gift of God is eternal life in Christ Jesus our Lord. ​but God shows his love for us in that while we were still sinners, Christ died for us. ​because, if you confess with your mouth that Jesus is Lord and believe in your heart that God raised him from the dead, you will be saved. For with the heart one believes and is justified, and with the mouth one confesses and is saved. ​Therefore, since we have been justified by faith, we have peace with God through our Lord Jesus Christ. ​There is therefore now no condemnation for those who are in Christ Jesus. ​For I am convinced that neither death nor life, neither angels nor demons, neither the present nor the future, nor any powers, neither height nor depth, nor anything else in all creation, will be able to separate us from the love of God that is in Christ Jesus our Lord. 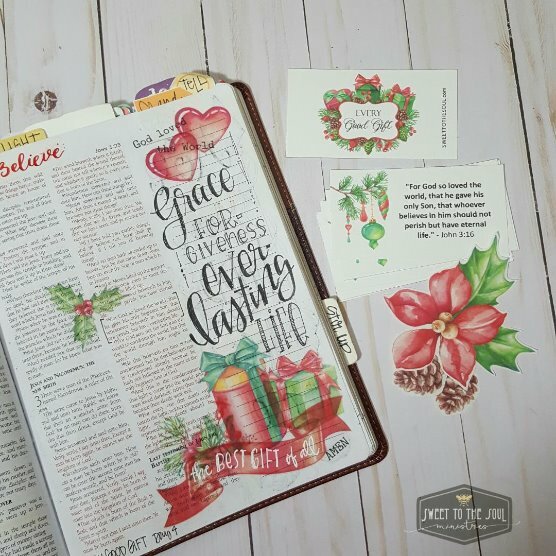 For my journaling, I layered some of the printable elements from our Every Good Gift download. I have them printed on clear label (sitckers) so you can see through them but I love the effect. On the ribbon across the bottom, I used my favorite white pen - the UniBall Stablo. It writes over everything!